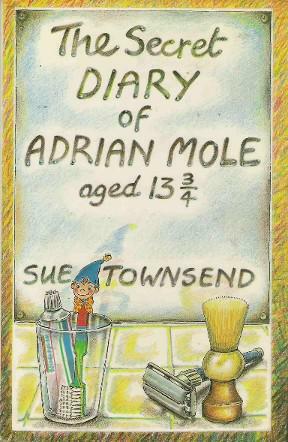 Sue Townsend dies: A tribute from her famous character, Adrian Mole. Reading through old diaries today, had forgotten how clever I was. Much cleverer than my parents, obviously, and I showed so much promise as a poet. My mother was always in a mood, which is a prerequisite for artistic whimsy. I expect I would’ve been the next Ted Hughes if my love for Pandora hadn’t been requited. Poets and intellectuals can’t possess their hearts’ desire at fourteen; there’s nowhere to go but downhill! The birth of my exceptionalism was unquestionably aborted by Pandora’s agreement to go out with me. This is where I might say “just my luck” but I wouldn’t trade a day with Pandora for the world, and that’s how life ends up isn’t it. We suffer through the indignities only to find we’re happy to have them down the road because they’re ours. They’re our treasures. I gave up an awful lot for Pandora when I think about it like that. I’ve led a poetic life in lieu of being an actual poet, which makes me a good deal better than actual poets. I will tell Pandora this next time I see her. Interestingly, the world was just as full of malingerers now as it was when I was 13 ¾, but they seem less rotten in hindsight. I could’ve lived without Barry Kent. Perhaps I’m more forgiving because I’m the same age as the Prime Minister and feel I must set an example. That’s what government is, isn’t it? All the daft people from school making your life miserable from London. Except for Pandora. I do wonder what might have been avoided if my parents had never owned a dog. Woke to the news today that Sue Townsend has died, which is the reason for my reminiscing. She knew the most private, most personal details of my life and treated them with utmost respect. She helped me make sense out of the sheer ridiculousness of puberty. She knew that spots were awful and they weren’t bloody character-building, and that love is something only someone with heart can do. Her words were fearless and kind, sensitive, and achingly funny, but most of all she was honest. When life is painful and confusing, what better salve can there possibly be than the truthful words of a friend?